The pencil should be held with the thumb and the index finger (or pointer finger) with middle finger supporting it. The pencil should be held in such a way that the pencil rests on the bridge between the thumb and index finger. The grip should be gentle, not tight. Try using pencil grips available in most stationery shops, to improve the grip. Let the lines be your guide to enhance handwriting skills. The lined paper really helps you to improve your handwriting skills. Those lines can help you create letters that are the right size and proportion. Proportion means that one thing is the right size compared with the other. So your lowercase "a" should be half the height of a capital "A." Be sure to fill up the lined space completely. Those capital letters should stretch from the bottom line to the top one. Lines also can keep you writing straight instead of uphill or downhill. So please when you don't have lines, like when you're creating a poster, you can use a ruler and draw light pencil lines so your title will be the right size and look perfectly straight. This is a very small point but very useful to enhance your writing skills. Right speed is essential for handwriting skills. Getting the right pace is also very important. Some kids take a long time to finish their writing, while others want to rush through it. This is very important that you know the importance of setting a timeline and pacing their writing accordingly. Understanding your current pace is very important before you start this handwriting improvement journey. If you rush a child who prefers to write slowly, then he will soon lose interest in writing. Never put pressure or force them. 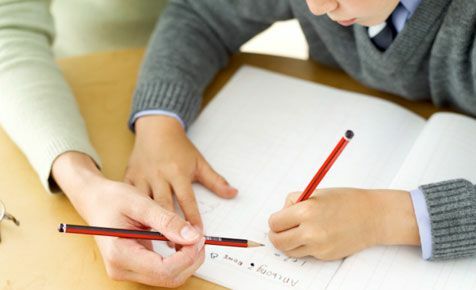 It is important to remain calm and patient while helping your child improve his handwriting. As you know, rushing a slow child is not the solution. Insisting things change overnight is not realistic; try to give your child enough breaks. Some kids press down really hard when they write. That makes it harder to make the smooth lines needed for writing, especially cursive writing. Try easing up, don't grip the pencil as tightly, and let your pencil mark the paper without going all the way through. Remember, if they are stressed, they will stop enjoying the whole activity of writing and this is counterproductive. Increase the amount of reading time. This is a very important point, reading more can improve writing. The more they see neatly printed, well-proportioned letters, the more chances of the letters getting imprinted in their minds and the more chances of them imitating that neatness when they write or practicing on paper. This is a very important trick to improve your handwriting and it also helps to increase your knowledge. Mazes help you to improve writing skills. Mazes are a fun way to disguise handwriting work. That is, they work muscles that your child needs to have good handwriting by improving fine writing skills. They also help develop thinking skills. This is really beneficial for everyone. Get in as much practice as you can. One of the best ways to improve your handwriting is to practice as much as you can. Try to write in throughout the day so your child is constantly practicing. For instance, tell them to make a grocery list for you and take them to the grocery store. Another good way to practice by writes letters to friends or relatives. Please play a game like pass notes, this can really help to enhance your handwriting skills. It can be a fun little game you play together. Help your child distinguish similar letters. Some letters are really confusing your brain. For instance, the lowercase "b" and "d" are often confused. One way to help your child is to tell them to "make their bed" by making two thumbs up symbols and bumping them together, forming a "bed." 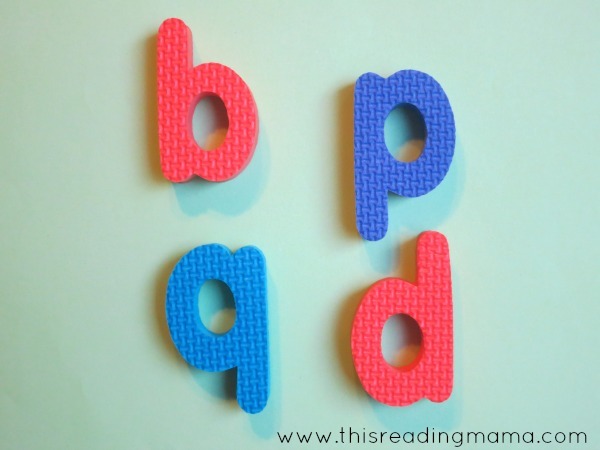 The left side looks like a lowercase "b" and the right side looks like a lowercase "d." Another commonly confused pair is WS and MS. One trick you can use is to mix up a bunch of MS and WS on a page and have your child circle all the MS or all the WS.